Southern California resident Knoe1 is a dj and producer who has been rocking dance floors with his soulful and eclectic dj style for over a decade. 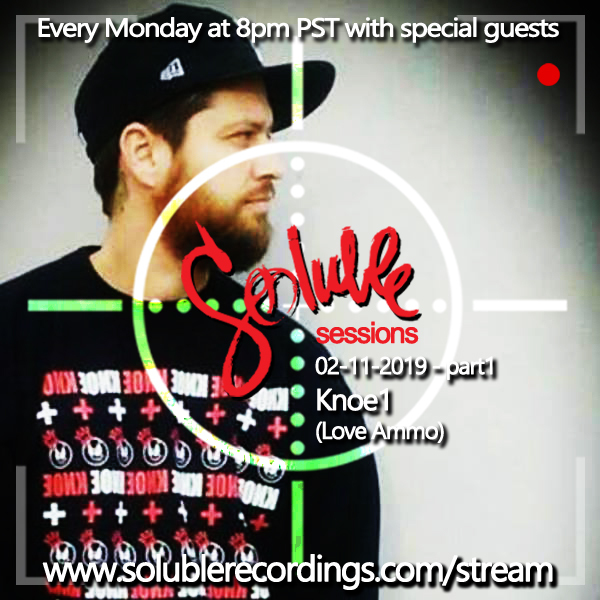 Whether it be house, disco, funk or bass, Knoe1 mixes genres seamlessly to create a palette of music.. Southern California resident Knoe1 is a dj and producer who has been rocking dance floors with his soulful and eclectic dj style for over a decade. Whether it be house, disco, funk or bass, Knoe1 mixes genres seamlessly to create a palette of music refreshing to the ears. When in the studio, he has been aiming his tracks straight for the dance floor with solid results, gaining him remixes on labels such as Smash Hit Music, Rong, Life Music, Superbreak and Natural Rhythm Music.